Heartland Fountain, LLC and guest, Sandra K. Tharp-Thee, will be at the Pioneer Woman Museum in Ponca City, Oklahoma, on Saturday, May 17th. We will present a program, “Celebrating and Creating History,” from 10:00 AM to 12:00 Noon. If you reside in or near Ponca City, we hope you will be with us for this special event. 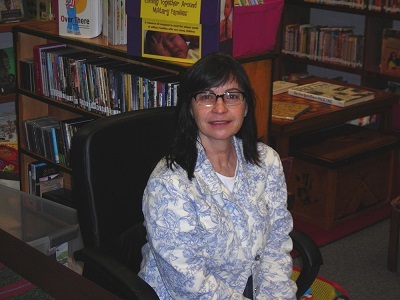 Sandra Tharp-Thee, Library Director for the Ioway Tribe of Oklahoma, will speak about her professional and personal life. Those of you who are acquainted with Sandy are aware that her work has gained the attention not only of other Oklahoma nations/tribes and the State of Oklahoma, but national and international organizations as well. If you have never visited the Pioneer Woman Museum, this will also be an opportunity for you to enjoy the outstanding facility and its myriad historical collections highlighting Oklahomans. Heartland Fountain, LLC, cordially invites, and encourages, you to be with us in Ponca City on May 17th. Hope to see you there ….